Riding my bike across the country was probably the most rewarding experience that I will ever have. I was attracted to the idea because of the opportunity to help the less fortunate and I knew it would change my life as well. Looking back, I was blessed to have an extremely interesting group of people to make the journey with. 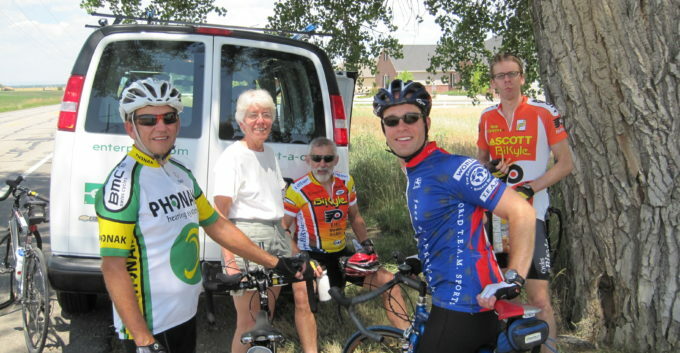 Transcontinental bike rides bring people together from a broad array of backgrounds. As the trip progressed I realized that everyday presented challenges that went far beyond the peddling. It was a great test of determination and devotion and I have rarely been as proud as when we finished on the shore of Massachusetts. Along the way, I also gained an appreciation for our great country and its abundance of beautiful “backland” roads. I was able to experience new cities that I had never been to, like Fargo, North Dakota and Dyersville, Iowa. The people we met were so generous and I was honestly astonished how many were willing to make sacrifices for our cause. My transcontinental experience was filled with lessons learned and challenges overcome. I will take the experiences and the strength that I acquired with me to conquer everything I undertake in the future.